What better way is there to escape the monotony of everyday life than to hit the road and plan a camping trip? 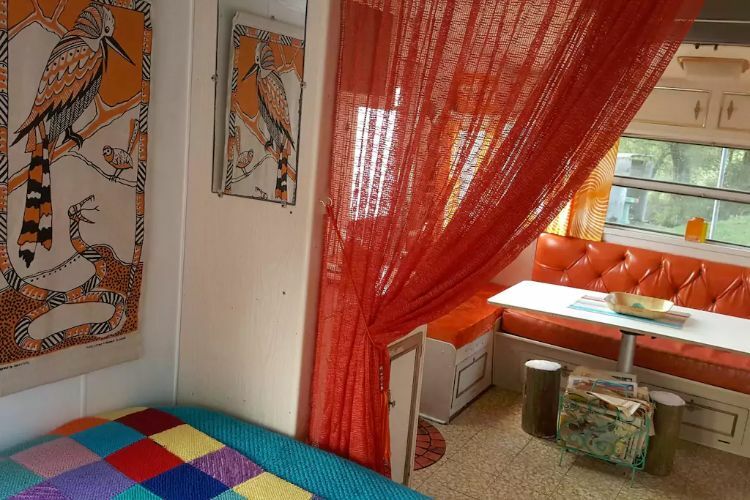 What better way to enjoy a camping trip than to add a little bit of retro and a little bit of glamor in order to have yourself the ideal "glamping" experience? At Wild Valley Gippsland, vintage glam, scenic views, and Australian wilderness eagerly await numerous visitors. 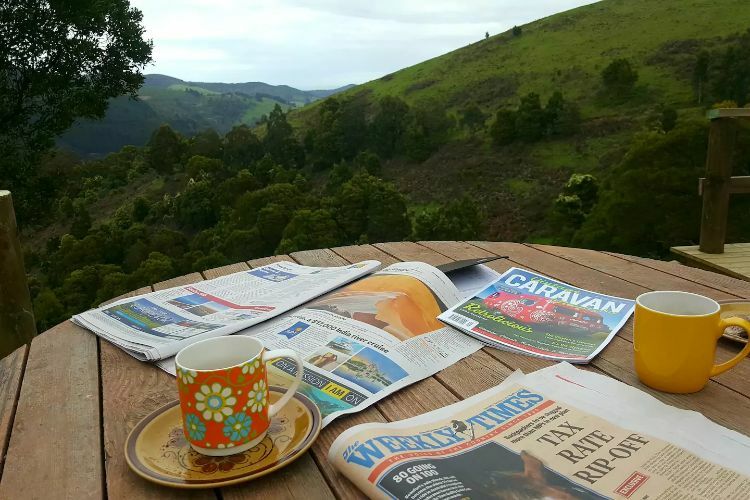 Wild Valley Gippsland is a vintage caravan retreat located in Victoria Australia. 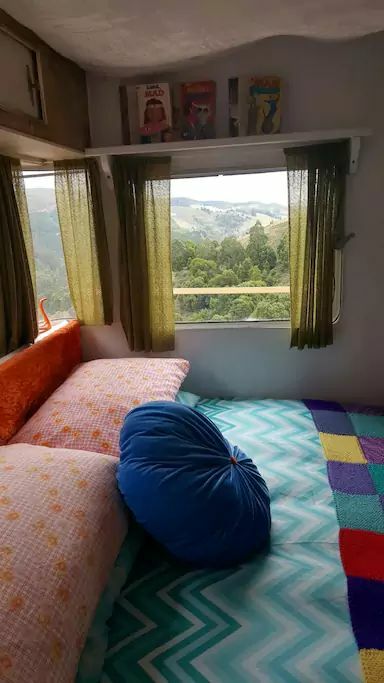 The petite, 1970s caravans each have their own private lot surrounded by 120-acres of Australian bushland, rainforest, and picture perfect views. It is perfect for relaxing, hiking, or enjoying some time well spent around a campfire. 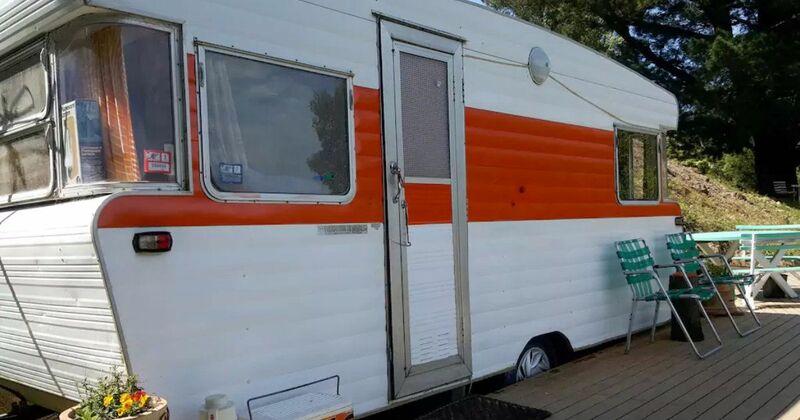 To experience the magic yourself, this 1978 Viscount caravan can be rented through Airbnb. Keep scrolling to see its marvelous interior. 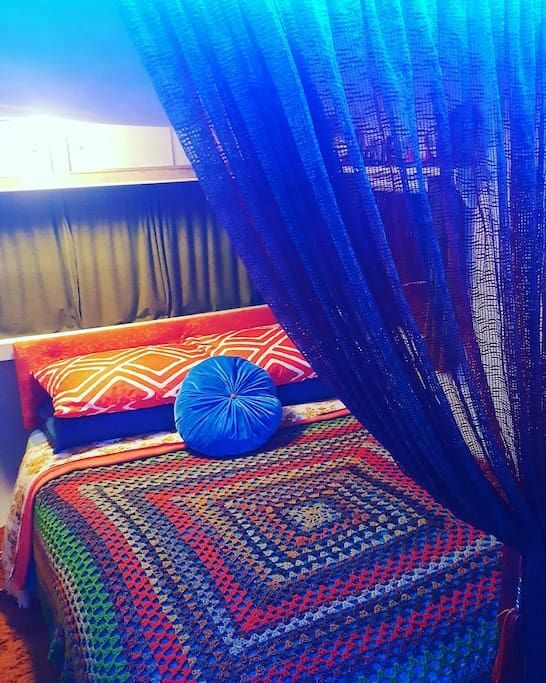 The hosts, Samantha and Eric, explain the concept of Wild Valley Gippsland as a desire to combine their "shared passion for breathing new life into discarded and vintage finds as well as our love of entertaining to create unique little getaways in the shape of retro caravans!" They certainly do an amazing job. Despite its small size, there are endless treasures and period pieces to admire in this caravan. 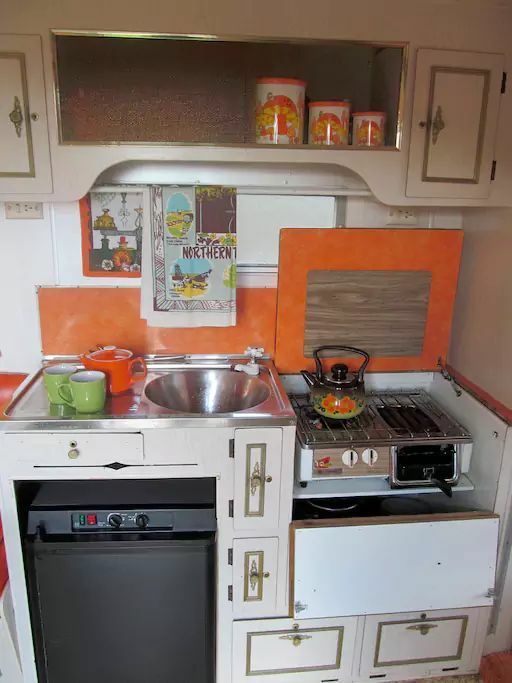 All of the objects located throughout the trailer are original finds from the owner's favorite decade. 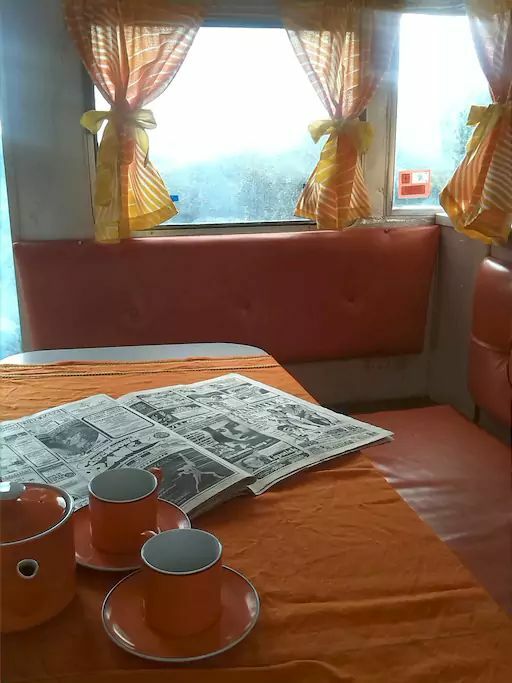 We can't get enough of the 1970s orange color palette. The kitchen is fully equipped with all of your cooking necessities. 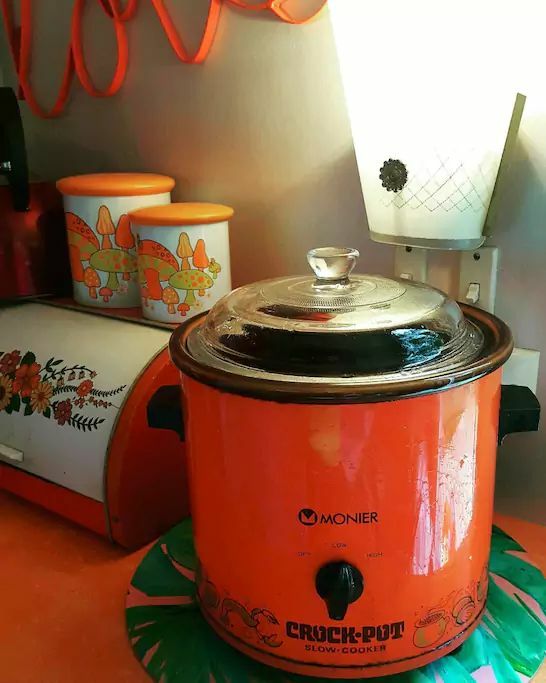 Even the crock-pot matches the camper's vibrant color scheme. A full-sized bed begs for you to jump into its colorful knitted linens and soft, fluffy pillows. ...but it's the view from the deck that will blow you away. Don't forget to share this totally awesome caravan with your friends on Facebook, Pinterest, and Twitter! Good things come in small packages, especially when it comes to Casita travel trailers. This sweet Shasta is a blast from the past. 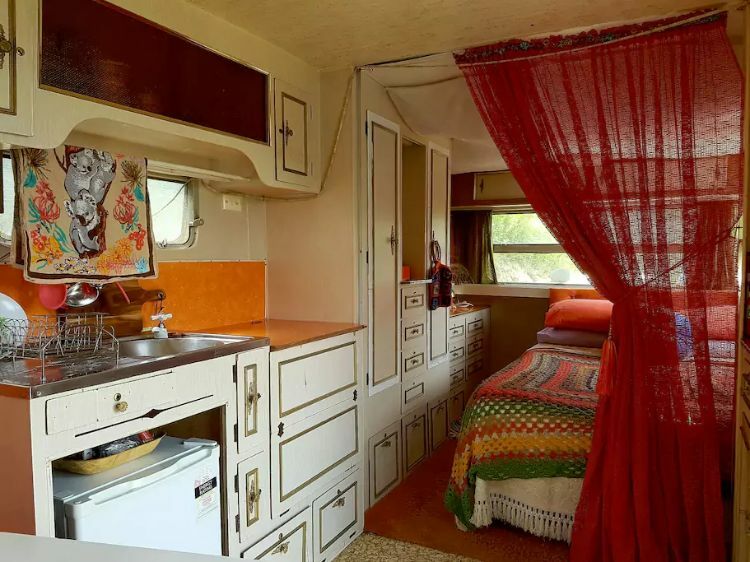 Tour this Shasta trailer and travel back to 1963.